On January 4, 2018, Integrated Flow Solutions, a DXP Enterprises USA company and Al Rushaid (http://www.al-rushaid.com/home.html), a Saudi Arabian company announced the formation of a joint venture Saudi company. IFS USA engineers and fabricates “Engineered to Order” and “Configure to Order” process packages for the O&G, Power, and Air Quality industries. The joint venture company will pursue these opportunities in Saudi Arabia and surrounding countries. 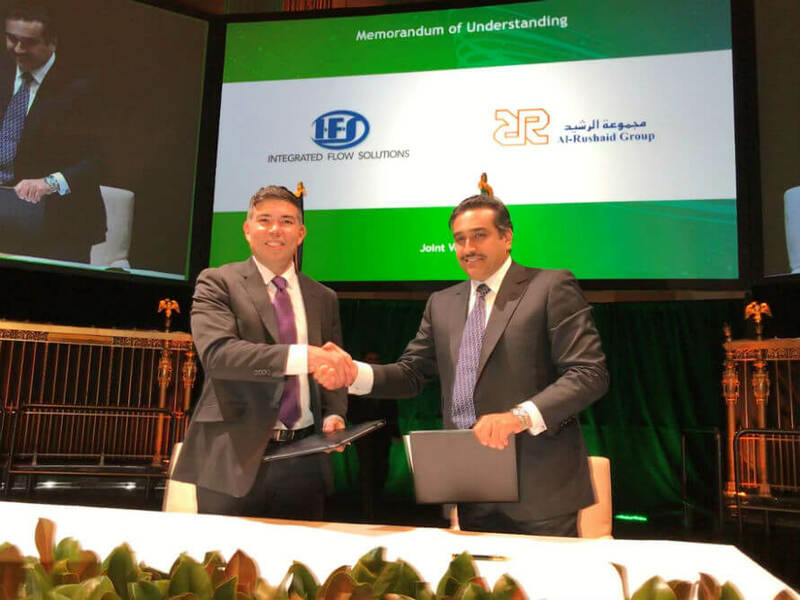 During a media event in New York City, New York on March 27, 2018, IFS’s Juan Patino signed the joint venture agreement with Al Rushaid’s Abdullah Al Rushaid. Al Rushaid’s NARMEL division received the first Aramco contract under the JV for $15MM USD. NARMEL has dedicated (2) fabrication bays, 25 meters x 450 meters to the joint venture located in Jeddah. IFS will provide support for the joint venture via Lyubomir Stetsiv, IFS’s Business Development manager located in Dubai.